Old-growth forests have declined significantly across the world. Decisions related to old growth are often mired in challenges of value diversity, conflict, data gaps, and resource pressures. 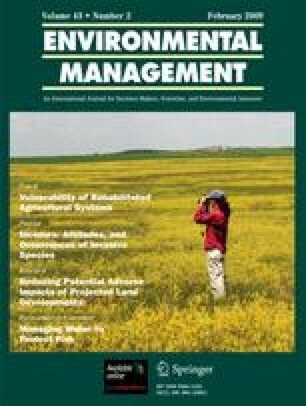 This article describes old-growth values of citizens and groups in Nova Scotia, Canada, for integration in sustainable forest management (SFM) decision-making. The study is based on data from 76 research subjects who participated in nine field trips to forest stands. Research subjects were drawn from Aboriginal groups, environmental organizations, forestry professionals, and rural and urban publics. Diaries, group discussions, and rating sheets were used to elicit information during the field trips. Findings show that different elicitation techniques can influence the articulation of intensity with which some values are held. In addition, certain values are more often associated with old-growth than with other forest-age classes. Some values associated with old-growth are considered more important than others, and some silvicultural treatments are perceived to compromise old-growth values more than others. Demographic characteristics, such as constituency group, gender, and age, are shown to influence value priorities. Ideas on how to incorporate old-growth values into SFM decision-making are highlighted. We extend hearty thanks to all the research participants for taking a day from their lives to provide their views. Also, sincere thanks to Bowater Mersey Paper Company, and in particular Peter Jones, for providing equipment, facilities, and access to OGF stands. Financial support was provided by the Sustainable Forest Management Network.